Best Brothers Group aims to break each project down, thereby simplifying it into separate stages to allow smooth and efficient operation. A strong emphasis is put on communication, high levels of workmanship and the fundamental role of meeting strict time frames and budgets. BBG works closely with you on each and every project. Best Brothers allocates a site manager for each project to ensure the smooth running of the job. Close and regular checks are done to ensure that each project finishes on time and within budget. 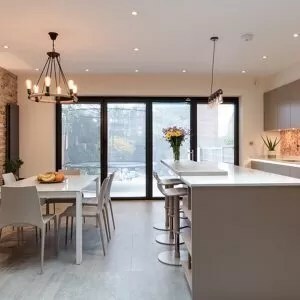 BBG oversees each project right through from the very beginning to the end, from the early planning stages; working with architects, structural engineers, interior designers right through to snagging and completion. Best Brothers Group believes in loyalty and that this goes hand-in-hand with trust and reliability. As a result, we are able to trust and rely on all our tradesmen to carry out each project to a high standard. All of our men have worked with us for a number of years and can be trusted to work in your home while you are out during the day or on holiday.